Looks like Santa has noticed I sew. This is what was under my tree this year. I was lucky enough to get a big stack of patterns. There are some for the kids and some for me too. What should I make first? 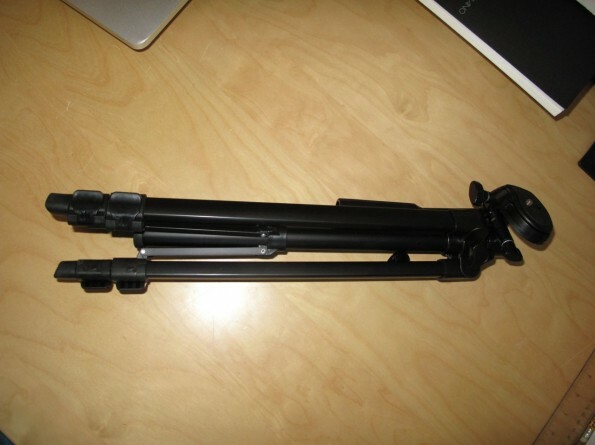 I also got a nice tripod. Nothing fancy, but hopefully it will help me get some nicer photos of the things I sew for myself. Can’t wait to try it out. Thanks Santa (and his helpers too!). Ok, so it’s not really that big a list – yet! But it has some really great designers. 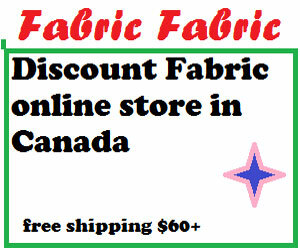 Here is a list of Canadian pattern designers. If you know of any others, please leave a comment or get in touch. This list was last updated on August 2, 2017. Designers are generally listed geographically from east to west. I don’t know about you, but for me, this summer has been crazy! There is just so much going on that I can’t possibly keep up. I have three kids getting ready for back-to-school. Sniff! They are getting so big! I’m off maternity leave and back to work (sigh!). And I’ve been sewing up a storm. Now all I have to do is catch up with my blogging. So I thought I would start by showing off some of my summer loot. Last Saturday there was a Montreal Sewing Blogger’s Meetup, this time hosted by Vicki of Another Sewing Scientist. It was loads of fun. We started with lunch, then had an amazing swap. The meetup was organized for CarmencitaB‘s trip to Montreal. And she brought us all gifts! Such a sweet thought! 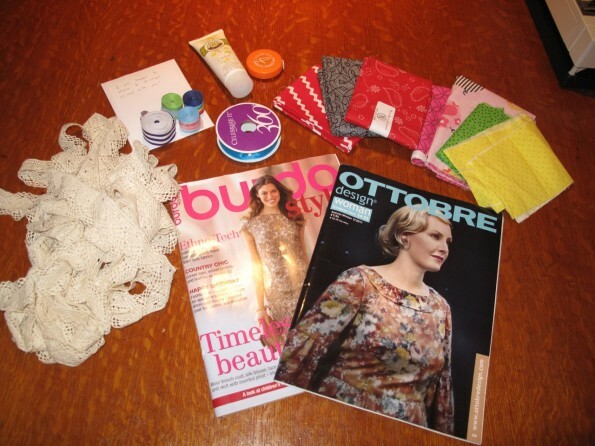 I got a ring pin cushion, some French bath gel and a new tape measure (the last courtesy Jalie patterns). And that was before the swap. Loot from the second Montreal Sewing Blogger’s Meetup. The swap was amazing! I have a bit of a project backlog at the moment, so I didn’t take any fabric except the quilting scraps. But I left with two amazing pattern magazines. 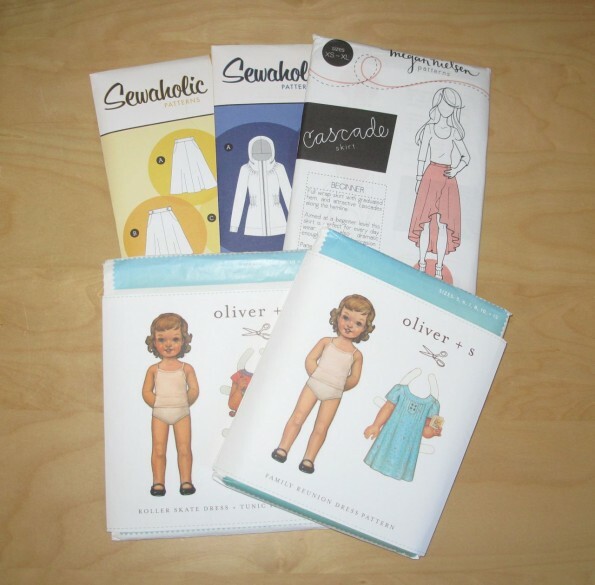 I grabbed the Ottobre magazine because it has a great dress pattern, but there is also a cute pattern for pyjamas I’d like to try. I also got some fun trim, some cute kids’ belting and some d-rings. We did go shopping afterwards, but I’m on a bit of a fabric budget. I did get few fat quarters from Effiloché though. The very best part was seeing everyone’s sewing creations in person. Carmen wore this dress, Vicki wore this skirt, Caroline wore this dress (and is organizing the next meetup in September), and Rachel wore this dress. All very beautiful! I have probably forgotton someone and their sewing. Sorry! I cheated and brought my baby with her new bonnet. I had grand plans to sew something in time, but there are only so many hours in the day. Next time. All together we were Vicki, Carmen, Caroline, Katherine, Renée, Rhonda, Tammy, Rachel and Julie. Have I missed anyone? Thanks everyone for all the fun! So where have I been, you may be asking? Each I year I co-organize an open source tech conference. It was on June 29-30. It is huge and crazy and getting through the pile of laundry afterwards is an amazing feat. But I am officially back in my usual, crazy, mum-of-four swing of things. My first job has been to tame the email, and what was awaiting me there? A prize! Yes, I am one of the official winners of the shorts on the line giveaway. My prize is the Kid Shorts by MADE. It looks really cute and I can’t wait to try it out. And since it fits kids 12 months to size 10, that means I’ll have to make four. Shorts, shorts, shorts! Thanks to Rachel of Imagine Gnats and Carla of Small + Friendly for organizing both the Shorts on the Line contest (which I also entered) and the giveaway. And thanks to Dana of MADE for donating the prize. And what else did I get to now that life is getting back to normal… the fabric store! It’s about 40 degrees with the humidex during the day here in Montreal – unbearably hot and humid. I kept seeing all the local mums in these fabulously comfortable jersey maxi dresses. I’ve been having babies for so long now that my (non-maternity) wardrobe is just pitiful, so I figured it was time for some summer sewing for me. McCall’s M 6760 Misses’ Dress and Jumpsuit and some spongey bamboo jersey. This is some really soft, really spongey bamboo jersey and McCall’s M 6760. The photo makes the fabric look darker than it is. It’s actually a medium grey and medium-weight. Now that I’ve blogged it I will be forced to sew it. No procrastinating allowed! I know, I know, all the dresses on the pattern envelope are made of georgette or some other airy fabric, but definitely not knit fabric. But there it was on the back of the envelope, “jersey”. And the bonus is that with jersey, I won’t need to line it or use an invisible zipper. I’m just a bit concerned that the jersey might be a bit heavy and weigh too much on the waistband, but we will soon find out. The waistband is meant to be interfaced, but then it won’t be as comfortable. Hmmm. dilemma, dilemma. I love the fabric, but I could also do a glorified t-shirt maxi dress instead. Maybe a bit dull, in grey though. What would you do? Suggestions welcome. 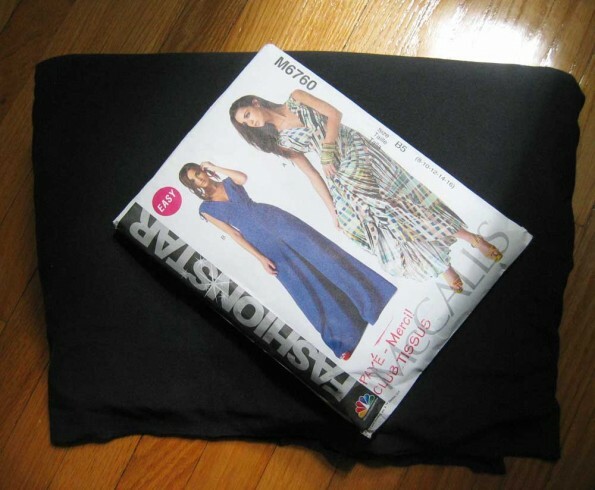 Author Shannon SmithPosted on July 8, 2013 July 9, 2013 Categories Sewing for WomenTags Bamboo, Dress, Fabric, Jersey, Kids Shorts, MADE, McCall's M 6760, Patterns, Sew-Along, shorts on the line2 Comments on Shorts for the Win! My husband is getting pretty tired of hearing about separating zippers and wool crepe. 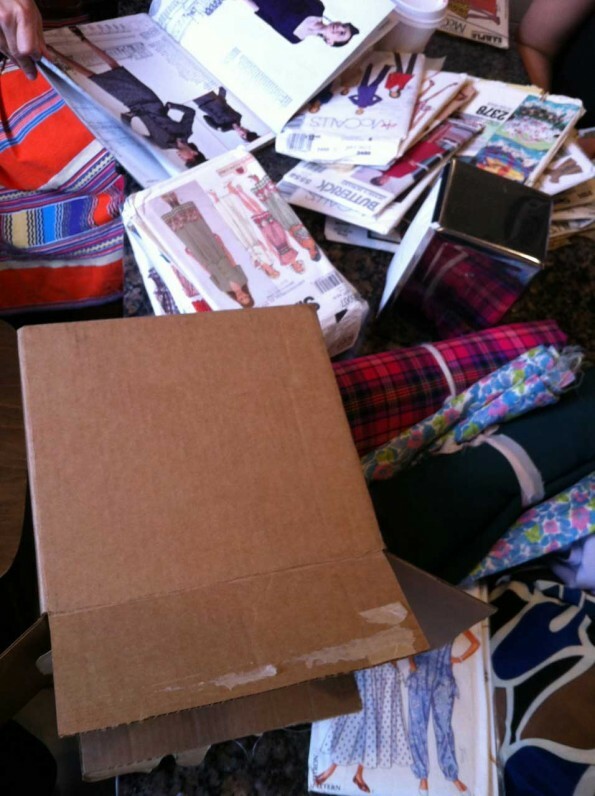 So I was very excited about the first Montreal Sewing Bloggers’ Meetup. We were seven sewists at the meetup. Not bad, especially on a very cold and rainy Saturday. We started out with coffee at Caffè mille gusti. The service was great and the owner was super friendly. Also, cannolis! Mmmmmm. Then we had a fun pattern and fabric swap. Check out the damage. Look what everyone brought to swap! Not much room for coffee on those tables. I got two nice patterns for myself. A nice pencil skirt from Burda (view C is calling me), and an Anne Klein jacket. I also have a big box of homeless patterns for the next meetup. Ah, the 1980’s! 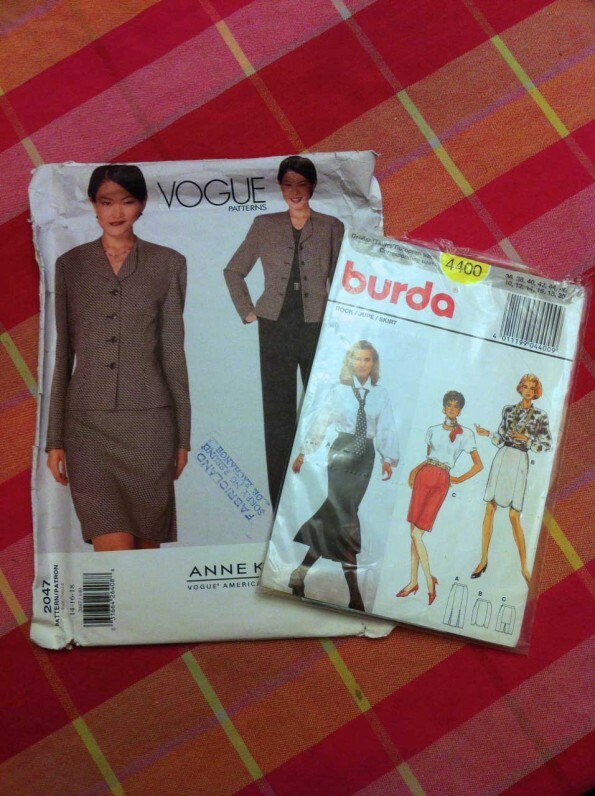 This is what I took home from the pattern swap: Burda 4400 – Misses Gored Skirts and Vogue 2047 – Anne Klein Misses Jacket, Skirt & Pants. Then we did the tour of Saint-Hubert. 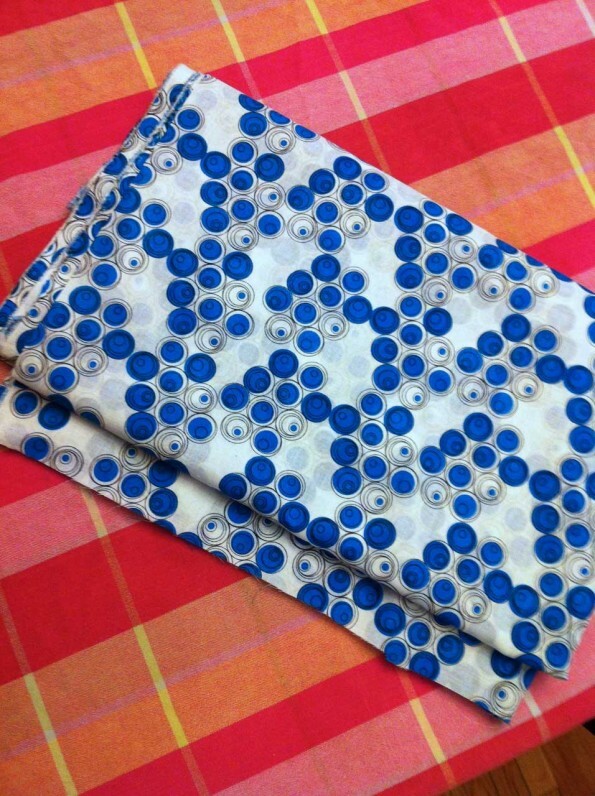 Luckily for my budget, we mostly stuck to the more affordable fabric and notion stores. It was great fun. Heather of Closet Case Files knew all the shops and took us around to her favourites. I picked up a bit of pretty cotton shirting for only $6/yard. I also saw some really nice wools, but couldn’t decide what I wanted. And I think the other sewists convinced me I need a cape. I do need a cape, right? What I picked up on Saint-Hubert: lightweight cotton shirting in white with a turquoise print. I am so excited to find a group of people who are as excited about sewing as I am! So excited that I forgot to take photos. I’m such a bad blogger sometimes! Everyone was so nice! Really! I’m not sure what it is about sewing that makes people so incredibly nice and friendly, but it’s awesome. And of course no one complains if you want to talk zippers and wool crepe. I think we should definitely have another meetup and Vicki from Another Sewing Scientist and Map the Sewintists suggested somewhere with a terrace next time. But when? Suggestions for dates welcome! And though we were only seven of us this time, there were other bloggers that just couldn’t work last Saturday’s meetup into their schedule. Hopefully they will be able to make it next time. Here are some of their blogs, in case you are looking for more local talent. 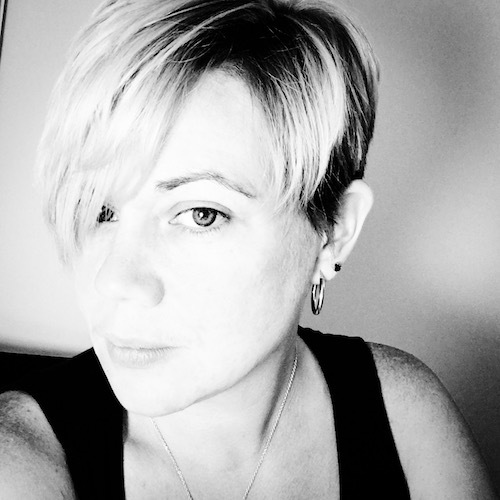 Do you know any other Montreal sewing bloggers? 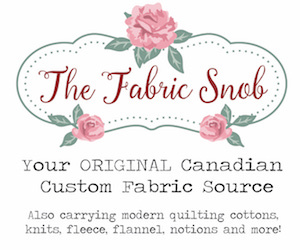 Or maybe you are another Montreal sewing blogger? Let me know who I’ve missed in the comments so I know who to invite next time!